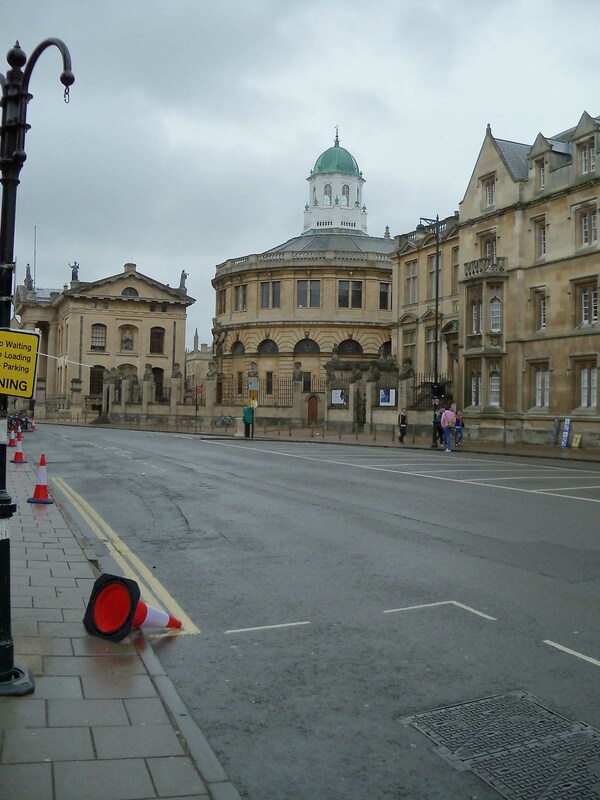 Oxford’s Town & Gown 10k has gathered a popular following over the years. 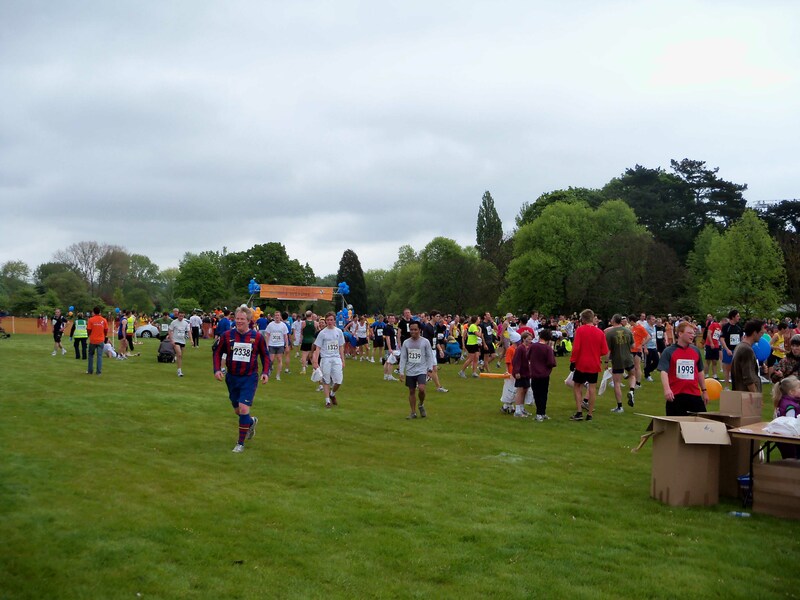 Organised by the Muscular Dystrophy campaign and with a capacity of 4000, it is without a doubt Oxford’s most populous race. Coursing through the centre of the city over flat ground and about 60 per cent on concrete, 39 percent on gravel and only 1 percent on grass, it’s got a reputation for being fast. And so it was, having spotted a surprisingly small number of men sporting bin liners, bobbing around to keep warm in the starting pen, I was impressed to hear the organisers were expecting the leading runners to go for sub-30. You don’t see many people running sub-30, so that was promising to be quite an event. The Bodlean Library on a particularly murky race day, before the event. This was my first 10k after the marathon. In fact, it was my first race over this distance this year. Consequently, I wasn’t really sure what I was capable of, so opted to run at a pace that felt comfortable but fast. I had decided to aim for 39 minutes, which would give me a time a little short of the PB I set towards the end of last year. As I’m prone to do, I set out too fast. I hauled it back in over the following kilometres, but started to lose some speed in between kilometres 7 and 8, although I picked up the pace for the end. The tight corners of the course took it out of me a little, with the inevitable slowing in the change of direction followed by trying to build pace again. Also, entering the Park – which is deceptively close to the finish line – with three or four kilometers left to run posed some interesting psychological challenges. Consistent pacing is going to be more and more important. The splits below don’t tell a massively compelling story, and despite to PB I spent most of the race hemorrhaging speed. If I had started slower and picked up the pace towards the end, I might have run even faster. Pre-race music. I don’t run with music, but I find listening to some music can help me to get into the mood for a good run. Needs to be something catchy that sticks in the head for those dark moments of exhaustion. Home advantage. There were a number of Amblers in the crowds watching the race, and wearing an Abingdon vest obviously gave something for people to call out. I’m not sure I’ve ever had more vocal support at a race! The final push is as much psychological as it is physical. The final hundred metres or so are on grass, which just saps your energy, but I forced myself to push on through. In the end, I was quite pleased with my sprint finish. NB: Normally I would give kilometre splits, but due to some minor technical issues, it’s going to be in miles. Crowds of people passing through the finishing funnel.